Aren't these not enough to make you drool? All the 25 DFAT (Davao Food Appreciation Tour) participants were uber excited especially me to start our tour and food feast in 13 establishments and 2 resorts in Davao City and nearby areas. We had our briefing and first stop at Mam Bebs Bakeshop. It's owned by the family of Davao Blogger Society's Vice President Andrew dela Cerna. I instantly felt at home because Mam Bebs serves most of my favorite food and if you have a sweet tooth, you'll sure be in for a treat. You've got to try their famous Apple Pie (one of the best in Davao City), Egg pie, Chocolate Cake, Palabok, Custard Cake and a lot more. They also serve rice meals, the one I tasted was the Double Cooked Adobo meal combo (with rice and soup) and I love it! The best thing about dining here is their very affordable price. A good meal will only cost you less than a hundred bucks! Plus, the place is a WIFI hotspot and it's fully air-conditioned as well. Very good deal, eh? Get to know more about Mam Bebs by visiting their Facebook page at www.facebook.com/mambebsbakeshop or better yet, visit them and try for yourself their sumptuous dishes at 1/F CVA Building, CM Recto Street, 8000 Davao City. It's near Ateneo de Davao University (College campus). You may also contact them via landline at (082) 227 8131. I miss palabok and buko pie! Those are definitely on my list on what to eat when we go home to the Philippines! oh my, I miss egg pie! Haven't tasted that in more than 10 years!! :D Everything looks good! What a feast! I really miss the palabok in all the foodies in your photos. These are making me drool right now hehehe, yum! i wish i can eat all of them!! pass me some please. i haven't had buko pie in years i believe, now, i miss it! i miss all of it, although i can make them here yet the taste is not the same. Where's my fave Palabok. I am drooling at the moment . Srao lahat but I have to check my diet. Bawal ang too much sweet. yummm!!! i miss egg pie too! 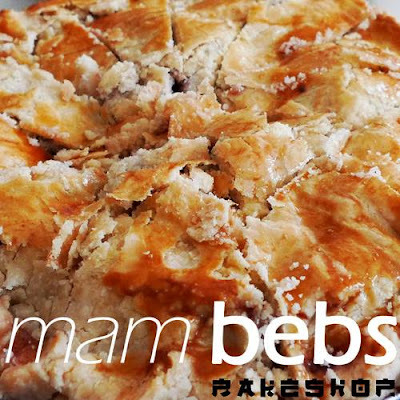 if i get to visit davao again, i will check out Mam Bebs! 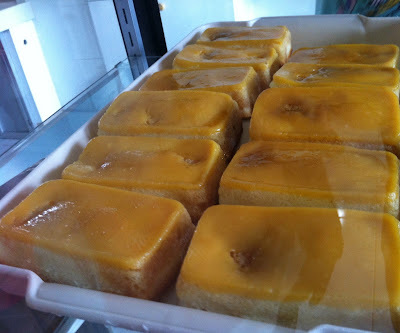 Nalula ako sa dami ng custard cakes sa picture. Nagutom tuloy ako. Hahahahaha! But it's 3 AM in the morning pa! Sarado lahat ng bakery! Hehehe!